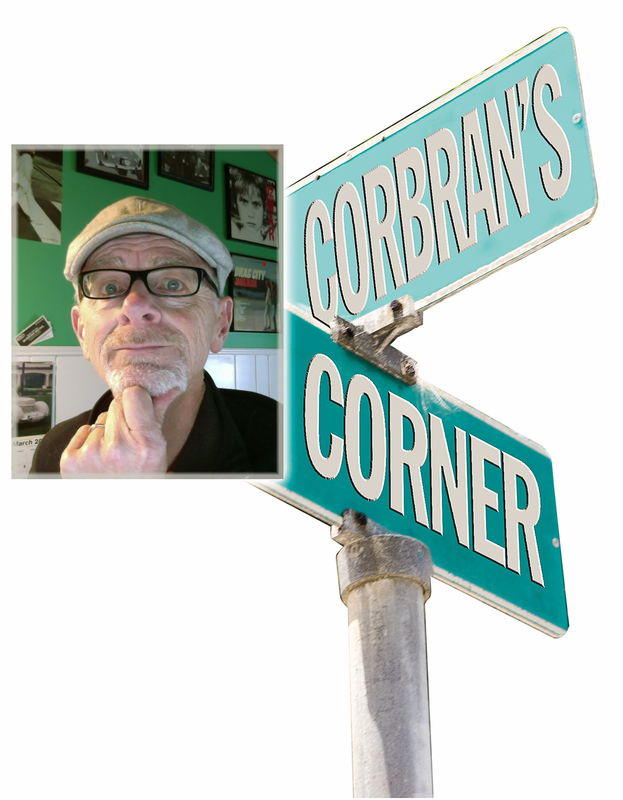 If you’re at one of the many classic car shows this summer in WNY , and want to see something uncommon — uncommon anywhere these days as well as uncommon at car shows where there you’ll find many Tri-Five Chevys, Hemi Mopars, and two-seat Thunderbirds — ask around to see if Steven Botsford is there. Actually, if Steven Botsford is there, he shouldn’t be too hard to find, as his eclectic collection of Everyman Cars usually draws a crowd. Thus was the case a few weeks back, when I met up with him at one of the weekly Big Indian Smoke Shop cruise nights in Irving. He made the somewhat short drive from his Gowanda residence in his white 1961 Comet S-22. The Comet was the second compact to come out of the Ford Motor Company in the early 1960s to help combat a flood of sales-stealing imports. Based on Ford’s Falcon, the Comet debuted partway through the 1960 model year. It had the squared-off roof of Ford’s upscale Thunderbird and Galaxie — which wouldn’t appear on other Mercurys until 1961, and one of the wildest rear ends in the business. It was sold at Lincoln-Mercury dealers, but initially had no Mercury badging anywhere on the car. The simple reason for that is because in the Comet’s early development it was slated to be an addition to the Edsel line, but incoming Ford President Robert McNamara helped make the decision to kill the Edsel brand before the Comet ever saw the light of day, so it was quickly moved over to L/M. With a mild restyle for MY 1962, the Comet was officially badged as a Mercury in that, its third year. There are some styling clues to help identify the Comet’s Edsel lineage. The oblong taillight lenses for sure are a nod to the ’58 Edsels. 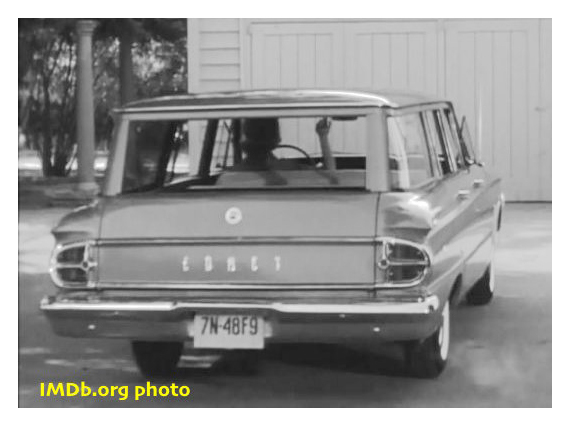 (Station wagons, however, didn’t share the same rear styling, as seen in the IMDb.org photo below of Donna Reed in her Comet wagon in a still from an episode of her early 1960s sitcom.) The dashboard, although largely shared with the Falcon, has elements of the ’59 Edsel in the gauge cluster; and one source says that the ’60-’61 Comet’s backup lights are from the ’59 Edsel. Apparently some part numbers also carry an Edsel code, and early prototype photographs show a divided grille (although, to its credit, without Edsel’s infamous “horse collar”). Botsford’s Comet is the upscale S-22 model, introduced midway through the 1961 model year to help bring in buyers looking for something a little fancier. It still had the same mechanicals as all other Comets, but a little more trim, plus the bucket seats (along with a console) that so many import buyers seemed to like. He’s owned his Comet for five or six years now. And just to show that you don’t have to travel all over the world (or even the world wide web) to buy a classic car, he bought the Comet from its previous owner in nearby North Collins (originally it was owned by a Bronx resident). It currently has about 69k on the odometer, and is powered by a straight-six connected to an automatic transmission. A small car by 1961 standards, the Comet looks almost full-size compared to a lot of today’s cars. But no one will ever confuse that highly-styled rear end for one of today’s cars. It’s one of the things Botsford loves best about his Comet. And one of the things that helps draw a crowd wherever it’s parked.